Digital locks, or also known as digital rights management (DRM) technologies, are measures employed by copyright owners to protect their intellectual property and control how their data, software or hardware is used by others. In the publishing world, DRM is mainly used to prevent unauthorized access to or copying of digital files. 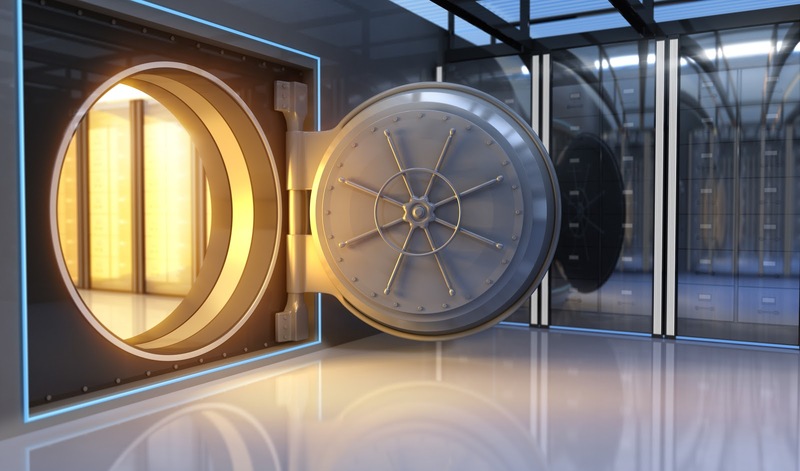 In the same fashion as a lock on the door protects your business from theft, DRM ensures that only customers who pay for a license will gain access to the digital content. In turn, the DRM license protocols ensure secure promotion, sale, and distribution of e-books and offer a myriad of business benefits, including reduced publishing costs, compliance with business processes, new revenues, and better control of IRP. The main business advantage of enabling DRM on your eBooks is the extra layer of protection it offers. Electronic publishing can produce huge reductions in costs, which coupled with the relatively low cost of online marketing, makes it an increasingly popular option. However, to take full advantage of the benefits e-publishing offers to your business, you need to have the proper privacy protection in place. Digital locks and DRM technologies are as necessary to prevent intellectual property theft as physical locks are to protect personal property. What’s more, DRM technologies also ensure the authenticity of the content you distribute. Unlike physical books, eBooks can easily be changed, modified and passed off as originals to unsuspecting customers. With a digital lock in place, the authenticity of your content is protected, which in turn adds credibility to your brand and protects your business reputation. Another huge advantage of the DRM is IRP control. In the digital publishing world, ensuring only the right people can view the digital information is just as important as controlling what happens to the digital content in their hands. Some eBooks may have a defined life cycle, and the content inside should no longer be viewable after the date in question has been reached. This can only be achieved with the proper DRM technology. EditionGuard has created extensive access control features for its customers. Device limitations, content expirations, print restrictions and even tracking of fulfillment on a per-user level. All of this is automated when an asset is fulfilled. This usage data can help you undertand your users behaviors, what they prefer, and indeed, creates a contract that is trackable so you know how and when your content is being accessed. We’ve reduced the cost and overhead traditionally needed to get started with digital asset protection and fulfillment. For a simple monthly cost you’ll have enterprise-grade protection and automation for your digital content. Check out our pricing. In a highly digital world, DRM and digital locks are no longer a luxury but a necessity. By placing a digital lock on your content, you protect not only your revenues by minimizing the chances of illegal access or copying of the content, but your business reputation and client base too. Start a free, full-access, 30-day trial of EditionGuard today. All writers begin their journey for their own reasons. Some seek fame and fortune, while others simply have a story that is worth telling. At EditionGuard, we have worked with writers and authors from all walks of life, writing about a wide assortment of genres. Although not all writers strive to strike it rich, being rewarded for their craft is always appreciated. 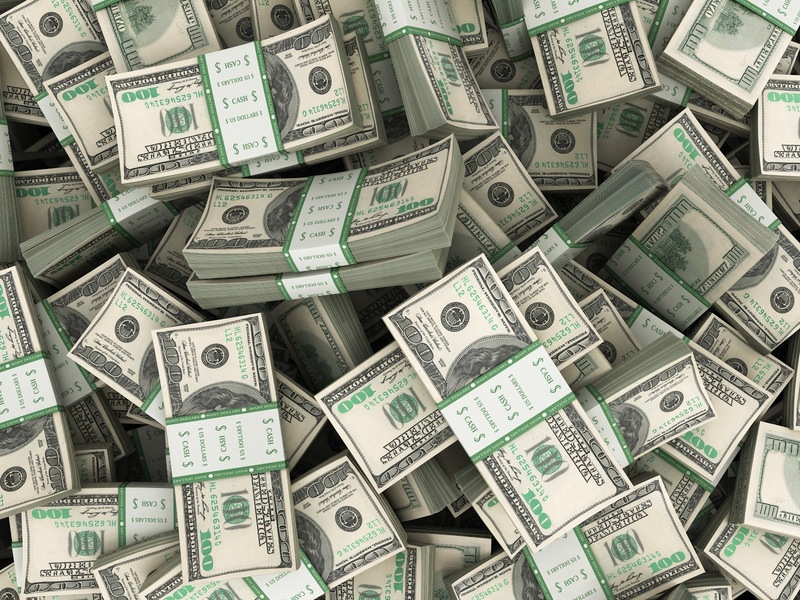 Based on our experience, most writers hope to be paid-in-full for the work they produce. However, they also want recognition for their content. For both of these reasons, EditionGuard provides industry-standard DRM solutions at a price accessible to self-published authors. With this week’s post, we want to continue protecting the writers we work with by providing them with a reliable resource on writing courses. Since it is difficult to know whether or not a writing contest is legitimate, we decided to create a shortlist of reputable contests—and ones that come with a cash reward. Whether you specialize in writing science fiction short stories or live for nonfiction, these writing contests are well worth checking out. Not only can they help you gain recognition, but these contests hand out a nice chunk of change. After all, who doesn’t want to be paid a respectable cash prize for doing something they love? The following annual contests are actually worth the time it takes to enter. Not only are they legitimate but they also celebrate the art of writing and the writing community itself. You may recognize the name, as Lorian is no other than Ernest Hemingway’s granddaughter. For over 35 years, Lorian and her panel have supported the talents and efforts of writers from around the world. There are three cash prizes — $1,500 for first place, followed by $50 for both the second and third-place winners. 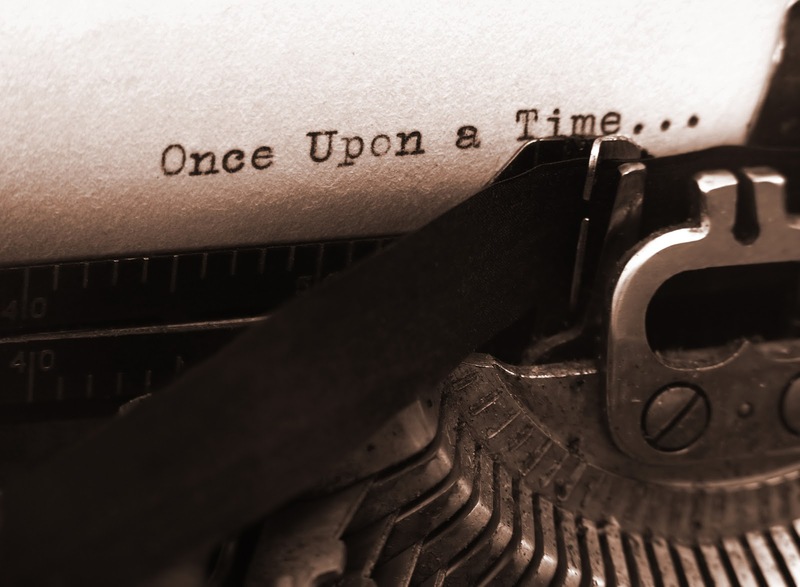 What to write: Each story must be an original, unpublished work of fiction. Although there are no restrictions on the theme, each submission may not exceed 3,500 words. Deadline: With a deadline of May 1, 2018, this year’s contest has already passed. However, writers can already submit for the 2019 competition. Learn more about submission (including the $5 fee here). Run by the Colorado State University’s Center for Literary Publishing, this competition is open to both U.S. and international writers. Established in 2004, in memory of Liza Nelligan, one outstanding author is awarded each year. The winner receives a $2,000 honorarium, and their story is published in the Colorado Review. What to write: Each fictional story must be at least ten pages (or 2,500 words) but no more than 50 pages (12,500 words). Once again, there is no restriction as to genre, and all stories must be previously unpublished. Deadline: The contest will open this year on December 1, 2018, and the deadline is March 14, 2019. The winner will not be announced until mid-June 2019. For more than 85 years, Writer’s Digest has recognized up and coming writers across all genres. What is unique about this contest is that nearly 500 winners will be chosen. Cash prizes are awarded to the top ten writers in each category, in addition to a grand prize of $5,000 (plus exposure, a paid trip to the Writer’s Digest Annual Conference, and more). Those who place first in their category win $1000, followed by $500 for second place, $250 for third, $100 for fourth, $50 for fifth, and $25 for sixth through tenth. What to write: The maximum word count varies depending on the category chosen and the exact final word count must be typed at the top of the manuscript. The categories include Inspirational Writing, Memories/Personal Essay, Magazine Feature Article, Any Genre Short Story, Mainstream/Literary Short Story, Rhyming Poetry, Non-Rhyming Poetry, Script, and Children’s/Young Adult Fiction. Deadline: May 4, 2018, was the early bird deadline and the final deadline (which costs slightly more) was June 1. This means you can start preparing your outline for next year’s competition. When Glimmer Train first began in 1991, their goal was to provide new writers with a real chance of being published. They were also interested in memorable stories that genuinely reveal what it means to be human. The journal’s co-founders are two sisters who continue to read every submission themselves. First place wins $2,000 and publication, followed by $500 for second place, and $300 for third. If the second or third place writer is chosen for publication, they will win $700 instead. What to write: Any length up to 12,000 words is welcome. They have since opened this contest to all writers, requiring a short story of your choice. They also run a “Fiction Open” contest, where stories can be from 3,000 to 28,000 words. Deadline: This contest runs twice annually, with a deadline of April 30 and August 31. This contest recognizes emerging science fiction writers and is organized by the Light Bringer Project, who believe that science fiction is a unique and inspiring medium that encourages great thinkers and pushes human achievement in relation to scientific innovation. Cash prizes are awarded to the top three writers, offering $500, $250, and $100 respectively. What to write: All science fiction stories must be 1,500 words or less. It is suggested that you write an engaging story with an emphasis on mood, imagery, tone, themes, and strong characters. Deadline: Submissions are free and open in fall 2018. This is an interesting contest that is solely themed around climate change. Judged by science fiction legend Kim Stanley Robinson, an award-winning author who has written many pieces on climate fiction, first place receives $1000. The remaining nine finalists are awarded $50 each. 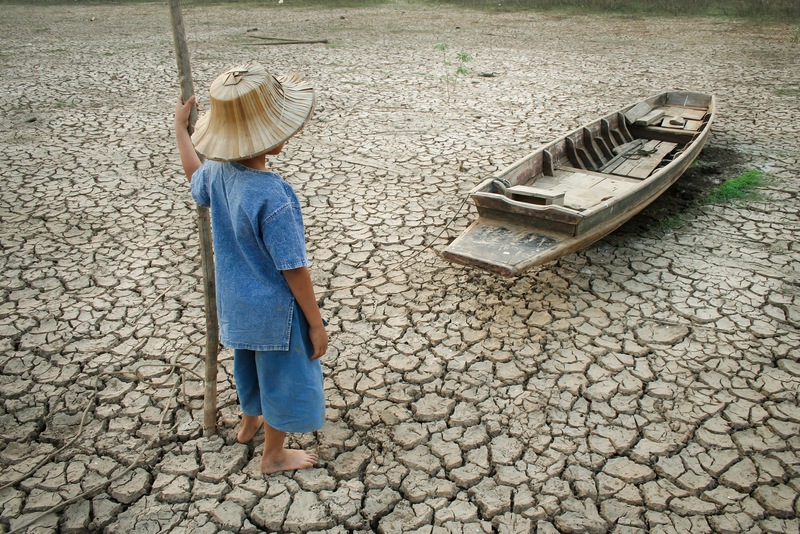 What to write: Writers must explore the impact of climate change in relation to the Earth or its impact on humanity. Scientific knowledge can be used to develop or exaggerate fictional situations and conditions. Deadline: Open to all nationalities, this year’s deadline was on February 28. This contest runs every three months, awarding winners prizes of $1,000, $750, and $500. There is also an annual grand prize of $5000 that is up for grabs. This is an excellent opportunity for new writers of fantasy, dark fantasy, and science fiction. What to write: All entries must be up to 17,000 words in length (no poetry or works intended for children will be accepted). Deadline: This contest has four quarters, beginning on October 1, followed by January 1, April 1, and July 1. This year will end on September 30 with a deadline of 11:59 pm PST. If you would like to challenge yourself, you can win $15,000 and publication by the University of Pittsburgh Press. All writers must submit a collection of short fiction. What to write: Submit an unpublished manuscript of two or more novellas, short stories, or a combination. In total, your word count should be between 150 and 300 typed pages. Deadline: Annual submissions must be postmarked on or after May 1 and on or before June 30. Winners will be announced in December or January, and the contest will continue in 2019. Lee and Low Books presents this award for a children’s picture book manuscript. However, this competition is only open to American authors of color, as well as Indigenous writers. The idea is to nurture new talent who write for an audience of children between ages 5 and 12. The Award winner will receive $2000 (plus a publication contract which includes royalties) and the Honor Award winner will receive $1,000. What to write: Submissions may be fiction, nonfiction, or poetry and should be no more than 1,500 words. Deadline: You may submit your manuscript between April 1 and August 31, 2018. This award is presented by the Chicago Tribune, recognizing writers of original short fiction. One grand prize winner receives $3500, followed by $1000 for the remaining four finalists, as well as $500 for the five runners-up. All stories are considered for publication in Printers Row. What to write: Stories must be fiction and previously unpublished, with a word count that is no more than 8,000 words. Deadline: The 2018 deadline was in February, and the 2019 deadline has not yet been announced. 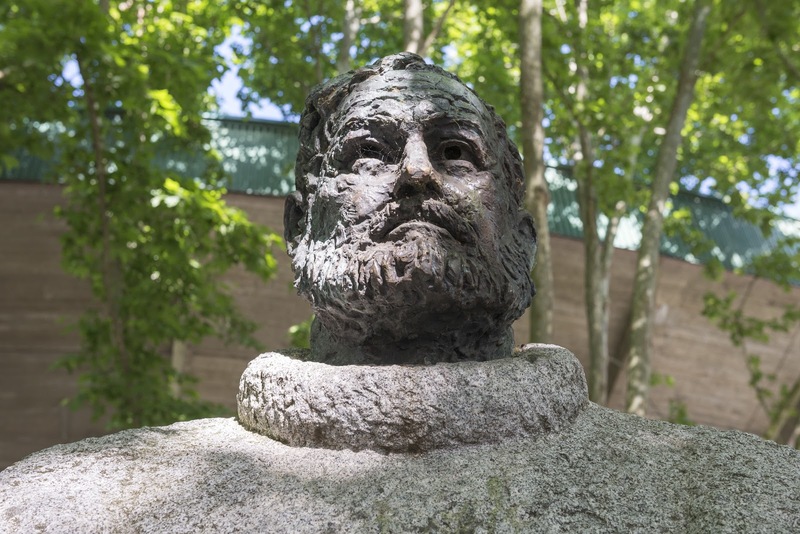 Castle Craig’s 30th Anniversary International Essay Writing Competition (deadline is December 30, 2018). “Good writing is bad writing well edited,” wrote author and innovator Kevin Ashton in his book “How to Fly a Horse.” Your first draft needs to go on a long journey through revision, editing, and proofreading before it’s ready to become an e-book. But working with a professional editor can be expensive. Freelance editors generally charge between $30 and $60 per hour, according to the Editorial Freelancers Association. This means having your e-book edited professionally can cost you thousands of dollars. If the cost of editing services is prohibitive to you, you will need to edit your own e-book. 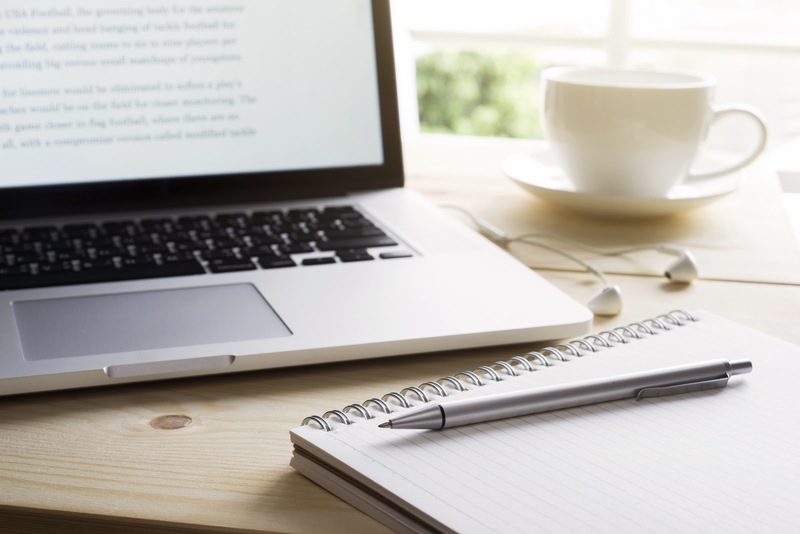 Even if self-editing cannot entirely replace working with a professional editor, there are several tools you can use to bring your e-book closer to publication. A self-editing checklist is one of them. When your first draft is complete, put it aside for a few weeks. Letting some time pass between writing and editing will allow you to be as objective as possible when you start editing. Some writers put their draft away for more than a year to be able to look at it from the perspective of a reader. However, this might not be practical if you need to meet a deadline. Whether it’s a few days or a few weeks, leave as much time as possible between writing and editing. 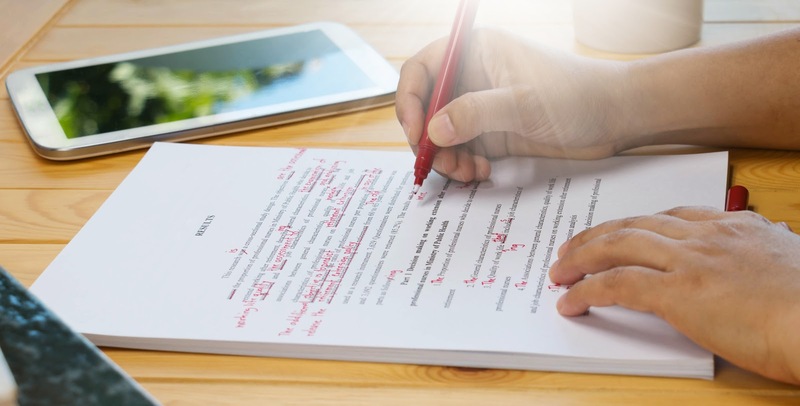 The editing checklist we developed has 10 steps — and many editing tips for writers. But every book is unique, so you may want to adapt this checklist to fit your needs. Though editing fiction and editing nonfiction entail different things, you can use our checklist no matter what genre you write in. That’s because the goal of editing is the same: to ensure your e-book is effective in transmitting your message to the reader. Before you start editing your book for grammar or style, you need to fix any major flaws that you might have missed during writing or revision. The errors to look for include logical fallacies, repetitions of ideas, contradictions, and missing information. To identify these flaws, read the draft in one go if you can. During this first step, you need to focus on the forest, not on the trees. So, try to resist the urge to correct the spelling or punctuation mistakes you come across. To spot the major errors in your draft, read it in a quiet place, away from distractions. By finding and resolving any significant issues at this early stage of editing, you’ll avoid rework and frustration later. Whether your e-book is about finance, travel or wellness, presenting correct information to the reader is essential if you write nonfiction. If you write fiction, your story needs to be credible, and fact-checking helps you create a realistic setting for your story. Verify all things that can be verified — numbers, statistics, and names of organizations, people, and places. Also, check that all web links work and point to the right site. “Bad grammar produces bad sentences,” said Stephen King. To correct the grammatical mistakes in your draft, you need to know the rules and when it’s OK to bend them. Subject-verb agreement errors, dangling participles, misplaced modifiers, and parallel structure errors are some of the most common mistakes writers make. There’s no substitute for a good grammar book, but apps like Grammarly or Hemingway help you identify errors you tend to miss. An e-book free from grammatical mistakes proves you care about your writing. While most readers will turn a blind eye to a few typos in your e-book, a publication full of spelling mistakes will harm your credibility. Typos in a book make people think that it contains not only sloppy spelling but also sloppy research. Also, some typos can be offensive, so be very careful when you check your e-book for spelling. Once you’ve manually spell-checked your book, use a spell-checker to find and correct any remaining typos. But don’t rely on spell-checkers, because no app can find all the mistakes in your book. Just like spelling and grammar, punctuation is an essential tool in your writer’s toolbox. Use exclamation points, ellipses and dashes sparingly, and use italics — not all caps — for emphasis. Grammar checkers can detect some punctuation errors, but not all of them. Mastering punctuation rules and correctly applying them is the only way to make your text clear and easy to read. Incorrect punctuation can change the meaning of a sentence, so punctuate your sentences the right way to prevent confusion. An e-book with flawless punctuation, spelling, and grammar can still be very hard to read if it has many stylistic errors. Some of the most common mistakes that beginner nonfiction writers make include starting many sentences with “there is” or “there are,” not noticing redundancies (such as “restored back” or “see the finish line in sight”) and using biased language. Beginner fiction writers often use “she shouted,” “he whispered” and “they explained” instead of “she said,” “he said,” and “they said” for speech attribution. They also dot their writing with adverbs and adjectives. All these and many other stylistic mistakes may not be easy to spot if you’re a new writer, but books such as Self-Editing for Fiction Writers, as well as style manuals, are valuable resources. Having an e-book free from stylistic flaws will help ensure people enjoy reading it. As well as editing your book for style, to strengthen your writing you also need to find out if there are any words or expressions you used too many times in your book. An online word frequency counter will show you how many times certain words appear in a text. If, for example, you discover that a particular phrase appears in 10 sentences in the same chapter, consider rewriting some of those sentences. This doesn’t mean you should eliminate all repetitions — repetition is a powerful literary device — but try to find better alternatives for more powerful and concise sentences. A draft full of formatting mistakes will not put you in the best light, no matter if you self-publish your e-book or send it to an agent. 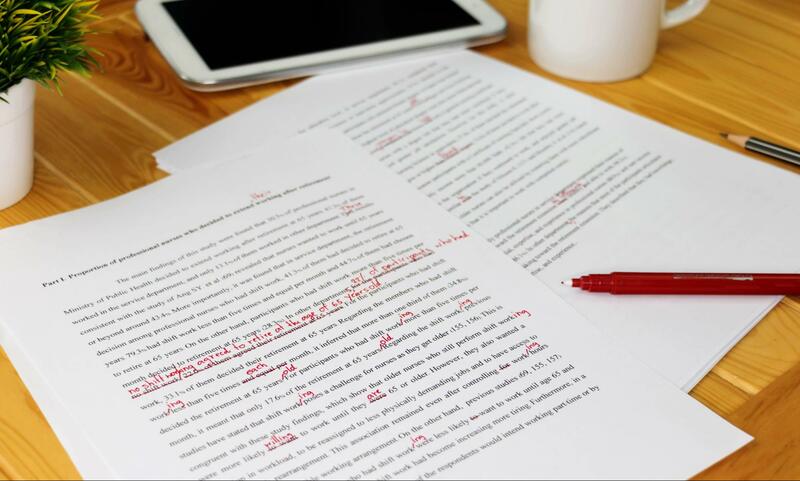 If you plan to have a proofreader work on your edited draft, you don’t need to worry about every detail, but format your manuscript consistently. 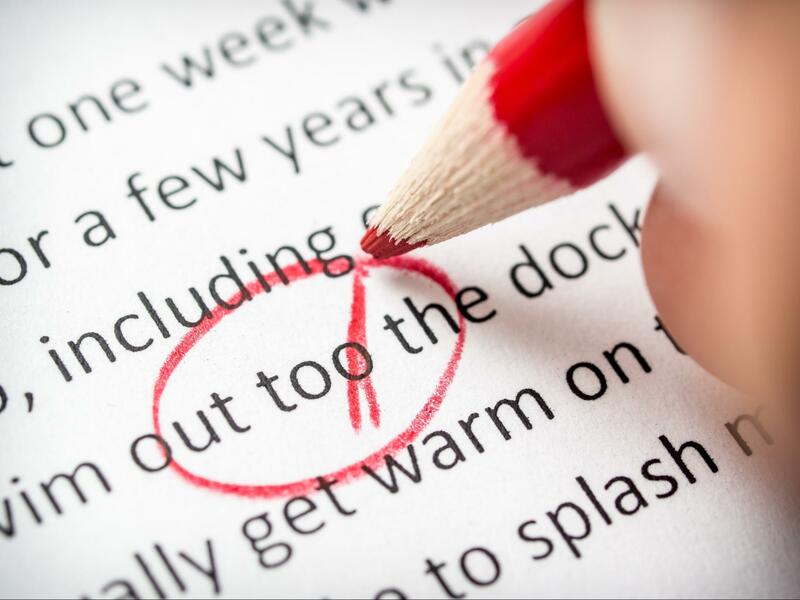 Get rid of all those formatting mistakes that annoy editors and publishers. Some of these mistakes include multiple spaces between sentences, misuse of capitalization, overuse of italics and inconsistent paragraph spacing. Format your text according to the publisher’s guidelines or use the industry standard for manuscript format. The result will be a professional-looking draft that is easy to read. 9. Is Your E-Book Complete? Now that you’ve edited your e-book, verify that it is complete. Check that the text, photos, tables, captions, footnotes, and other resources are all there. The goal is to make sure you didn’t leave out anything during editing. Printing your document as a PDF helps you get an idea about the final look of your e-book. 10. How Does It Sound? This last step is the opposite of step 1 on our checklist: During step 10, you need to focus on the trees, while during step 1 you focused on the forest. Scientific American reports that, according to researchers, even when we read silently, we “hear” the words in our head. This is why experienced editors say good writing has good rhythm. Read your book aloud to spot unintentional rhyming, tongue-twisters, expressions that are hard to read, and words that are difficult to pronounce. If you read on a screen, increase the font size, or zoom in if you work on a PDF, so that you can focus on one sentence at a time. If you don’t want to — or are unable to — read your e-book aloud, use an app that converts text to speech. When you read something you wrote, you tend to see things you meant to write, not what you actually wrote. In contrast, when you hear what you wrote, it’s easier to spot any mistakes. By fixing any problems with the way your writing sounds, you’ll ensure that the text is a pleasure both for the eye and for the ear. From correct grammar, spelling, and punctuation to good style and rhythm, all aspects of your writing work in concert to create a strong manuscript. Use our checklist when you self-edit your e-book to make your job easier. At EditionGuard, we know how much effort writing and editing an e-book requires, and we want to help authors protect their work, which is why we offer digital rights management (DRM) protection for e-books. At EditionGuard, we’ve worked with many talented authors and have seen firsthand, the level of passion and drive they have. Each individual writer brings something new to the table, which is why we wanted to focus on the incredible community surrounding aspiring writers. Regardless if a writer is creating their first e-book or their seventh novel, they all have one crucial thing in common — the drive and motivation to continuously learn. If you are currently focusing on “finding yourself” as a writer, you’ve come to the right place. From support and encouragement to marketing and security advice, why not reach out to those who were once in your shoes? The team at EditionGuard works with writers on a daily basis, helping them take their goals to the next level. Although we mainly help authors sell their e-books securely online (ensuring higher profitability and long-term success), we are also familiar with some of the most common pain points in which our clients face. If you are an aspiring writer and are looking for community support, you need to check out the following 20 writing communities. After all, writers understand other writers; and in order to be successful, you need to interact and consult with those who appreciate your passion (and relate to your struggles). As a writer, you never stop learning: This allows you to continually hone and master your craft. For those of you who are aspiring writers, Almost an Author is an excellent place to start your journey. Whether you are writing a romance novel, are interested in screenwriting, or any other genre in-between, this community will help you kick-start your career. Grammar and Grace (includes everything you need to know to become a more seasoned, professional writer). Writer Encouragement (give yourself a boost by learning how to refocus, how to avoid common pitfalls, and so much more). Marketing & Platform (from social media strategy advice to the importance of SEO, it is time to master your online presence). Ann Kroeker is an author and a writing coach. Her goal is to help writers reach their goals so that they can maximize their creativity and productivity. Even if you do not invest in one-on-one coaching, there are a plethora of resources that can help you take your writing career to the next level. Ann also has a significant following on Twitter, which can assist you in connecting with other aspiring writers. The Organized Writer course, which will help you organize and align your ideas, schedule, and content. 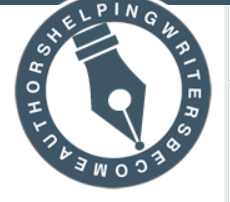 As the name suggests, Writers Helping Writers is your one-stop shop for writer support. Packed with innovative tools, writing help, and resources, this platform empowers all types of writers. All posts allow for writers to comment, which often encourages informative discussions. With so many free resources available, this community is indeed a hotspot for aspiring writers. 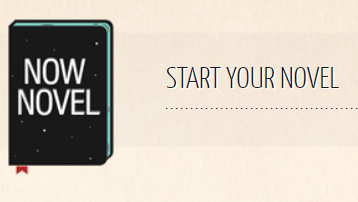 One Stop For Writers (helping you plan, research, and write, this database has it all). Resources For Writers (from publishing information to editing services, this is a highly comprehensive list). 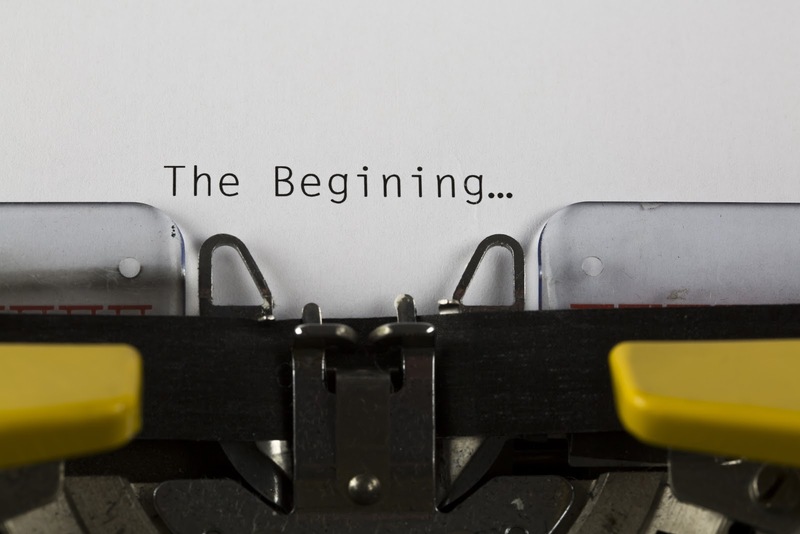 When you first visit Helping Writers Become Authors, it is suggested that you start here. 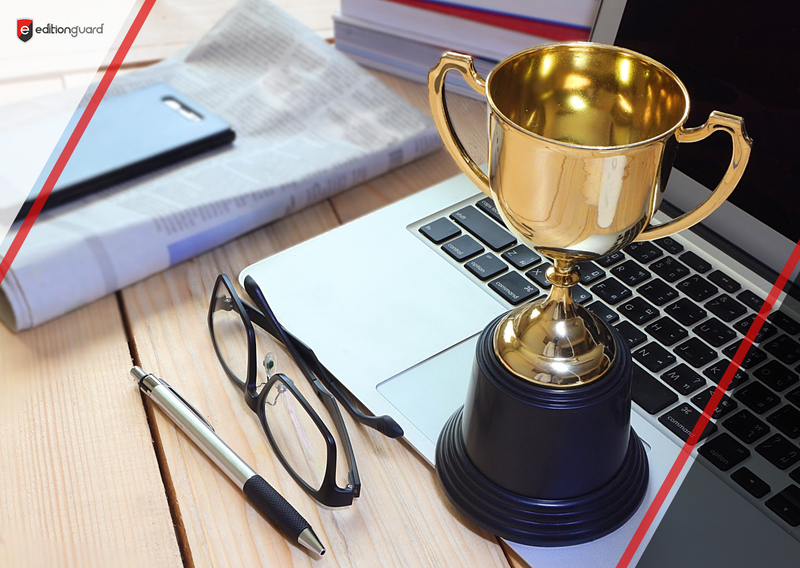 Winning Writer’s Digest’s 101 Best Websites for Writers three years in a row, this is a platform and community that you can trust. If you are into story writing and in turn, require advice on story structure, be sure to access this database. Already written your book? Well, then Standout Books is for you. Offering everything you need to know about editing and publishing, you will be able to market your book like a pro (and feel confident doing so). In addition to informative blog content, you can also access a list of trusted tools. If you are looking to up your game, check out these stunning sample author websites. You do not need to purchase anything, simply look at the layout, design, and functionality of the provided examples in order to inspire your own little piece of online real estate. If a true writer’s community is what you’re looking for, A Writer’s Path offers a “Writer’s Club” unlike any other. Whether you seek an editorial review of your book or would like to advertise your book (or writing service) effectively, this community will help you achieve your goals. To gain an inside perspective, you can also check out author interviews. For example, Publishing Tips with Kameron Hurley and Writing Historical Nonfiction with Kelly Matthews. Within the Booksie community, you can publish your content for free. This is a great way to test an idea, as readers will review the content you share. Perhaps you would like to share a snippet of your novel or an article that highlights your book’s theme? Either way, this community is highly supportive. You can also enter writing contests and competitions here. Interact with other members here. And access the Self-Publishing Advisor 2018 here. Fiction Writing is a Facebook group that now has close to 60,000 members. An excellent community for first-time authors, you will learn everything about the different stages of writing and publishing. Each member is allowed to post one purchase link on the date they release their book. By sticking to these guidelines, authors benefit from a supportive community (without having to deal with spam). Whether you are experiencing writer’s block or overwhelming self-doubt, it’s time to pick yourself up and reignite your passion for writing. The Insecure Writer’s Support Group has created a community of support for writers in crisis. This award-winning community also offers a vast amount of writing tips, self-publishing advice, and marketing solutions. 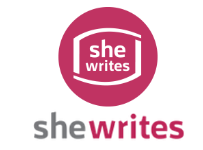 Join the 30,000+ members on She Writes: The largest writing community for women. Representing every genre and every generation, this is a dynamic, growing community that will help you share your work and connect with others. Once you build your profile, you can then follow tags and people that interest you. To get started, begin here. Although there are over 36,000 articles for you to access, the best place to start is with these trending articles. 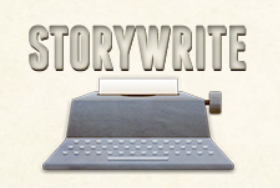 Another great community for getting your work critiqued is Storywrite. If you are just starting out as an aspiring writer, you will appreciate the friendly feedback you receive. When you are ready, you can then access more detailed critiques. You can also join focus groups, as well as private forums. All writers can publish their stories, some of which will be featured. Of these features stories, some have won national contests. Overall, this is a great community, full of experts who are willing to support and encourage amateur writers. With more than 50,000 active members, you can easily connect with others to improve your writing. Writing.com is a free community that has been around since 2000. Here, writers gain creative inspiration all while accessing unique writing tools and writing opportunities. Each writer is able to display up to ten items on their online portfolio — which is a great way to network with like-minded writers. To begin, head to Writing.com 101. Looking for more step-by-step support to write your first book? Well, Now Novel has got the goods! They support writers and authors so that they not only start their book but even more importantly, finish it. After you read all of the blog content that is relevant to you and your writing journey, it will be time to start your novel. Once you sign-up, you can gain access to more personalized mentorship, as well as supportive community groups. Developed by Joanna Penn, a New York Times and USA Today bestselling author, The Creative Penn offers inspiration and information on writing, self-publishing, and marketing. 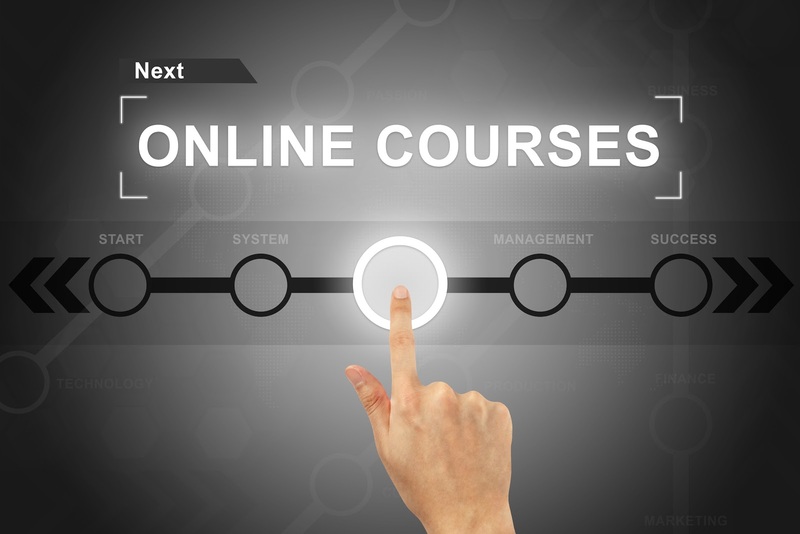 Be sure to check out these tools, these podcasts, as well as these courses. At EditionGuard, we want to help ensure that after you work day and night to write and publish your book, you are financially rewarded. If you have questions about how to make your first e-book and digital content more secure, please contact us to inquire about your options, or simply sign up for a free 30-day trial. The Internet is an incredibly powerful tool for sharing ideas and selling content. Unfortunately, it’s also a superhighway for selling or sharing pirated intellectual property. A quick Google search will uncover pirated films, music, and e-books that are often free for download. In addition, searching for pirated versions of your own content can be difficult because more advanced groups hide behind closed forums. There are legal mechanisms to compel website hosts to take down pirated content, but in practice, these remedies take time and money to resolve. This article will examine how to search for pirated content and what to do once you find it online. According to one study, online piracy of e-books costs publishers over $300 million each year. That study reveals that the people who illegally download e-books are as diverse as the titles they read. They range from college students to working professionals and use a variety of tools to download and store pirated content. Online piracy worldwide is at record highs, and sites hosting pirated content received 300 billion visits in 2017. The United States had the largest population of residents illegally downloading content, followed by Russia and India. Most visits were to streaming sites followed by torrent sites and direct download portals, which are more commonly used for pirated e-books. The unfortunate truth is that pirated content is easy to find online and there is no shortage of people willing to download content without paying for it. While there is legislation in place to protect content creators, digital pirates are much more nimble and are often one step ahead. One of the first lines of defense to protect content is effective DRM software. Digital Rights Management software protects files from piracy. DRM varies depending on the type of content but encryption—along with passwords and digital watermarks—is the most common form of piracy prevention for e-books. The appropriate level of protection varies depending on the material; an academic paper containing sensitive or proprietary information may need more protection than an e-book written by a first-time author. The challenge with DRM is balancing protection versus ease of use. Readers increasingly demand that they be able to access content anytime, anywhere, on any device. 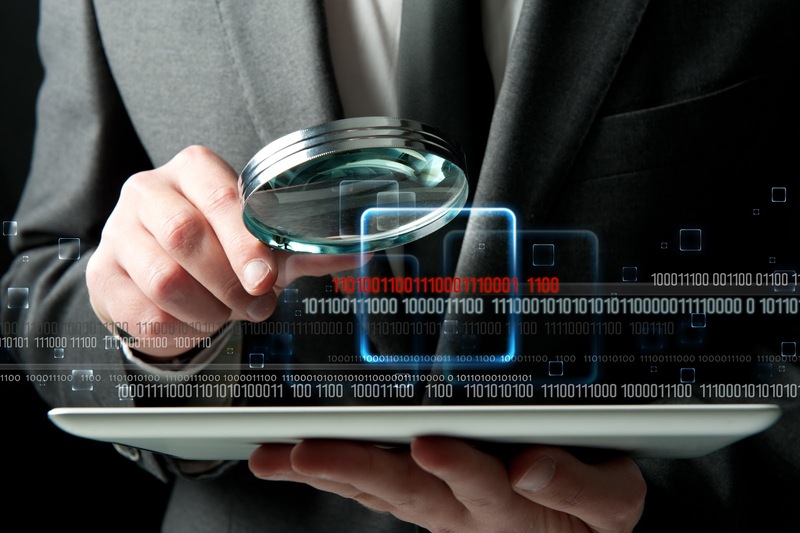 Security solutions need to protect IP without negatively impacting the reading experience. What Is Adobe DRM And How Does It Work? Adobe DRM adopts this mindset and achieves a balance between security and convenience. Adobe’s DRM software is built on the industry-standard Adobe Content Server, which provides content creators and publishers a platform to securely distribute and monetize e-books. To protect IP, customers are issued a unique customized ID that is required to access authorized content, and publishers can make content available to specific customers for a predetermined window of time. E-books secured by Adobe DRM can’t be copied or shared. Ensuring that Adobe DRM encryption remains one step ahead of would-be hackers and pirates requires constant vigilance and investment. Perhaps for this reason, the high costs and technical know-how required to deploy Adobe Content Server and DRM protection put it out of the reach of many content owners. EditionGuard eliminates these barriers and makes Adobe DRM affordable to both small and established firms. Clients pay one low monthly fee to get industry-leading content protection standards, rather than paying significant upfront installation and maintenance costs. EditonGuard allows creators and publishers to focus on producing great content without worrying about the technical requirements necessary to protect that content online. Aside from Adobe DRM protection for e-books, there are a number of other strategies to protect digital IP. Password protection and social DRM/watermarking can be useful but have significant drawbacks that we will explore in more detail. Password protection is the simplest and easiest to use method for protecting digital IP. Adobe Acrobat and Preview for Mac both offer built-in password protection options. However, this simple solution provides no flexibility. Password protection is absolute—you either have the password or you don’t—and doesn’t offer tiered access. Password protection also can be easily defeated using online tools that can be low-cost or free. Social DRM is particularly prevalent in Europe and involves imprinting files with a “payload” of hidden or visible information that identifies the purchaser of the content. That payload might be the full name or account number unique to the buyer. The actual watermark might be embedded in images or as a header/footer on each page depending on the algorithm. Some watermarking algorithms seek to deter theft by including the owner’s name or personal information in the document; in theory, this discourages theft because the owner will be less willing to share materials that identify them as the source of unauthorized copying or distribution. Hidden watermarks are geared less towards immediately deterring piracy and more toward prosecuting or otherwise punishing offenders after the fact. Encryption-based DRM is sometimes confused with watermarking, but they are fundamentally different protection mechanisms. DRM limits the ability of the user to access content outside of approved apps or devices; watermark algorithms are device or app-agnostic. Copyrights: Copyrights protect original works of authorship from theft or misuse and are registered with the U.S. Copyright Office. This legal protection grants the owner exclusive rights to publish, reproduce or distribute the IP. “Authorship” broadly includes books, software, film, paintings, and even live performances. Copyrights typically last as long as the lifetime of the owner plus an additional 70 years. The owner of the copyright has the power to permanently or temporarily transfer ownership to another party. Trademarks: A trademark is a word, phrase, symbol, or design distinguishing the origin of one party’s goods versus those of another party. Trademarks typically include logos, brand names, and slogans. Unlike copyrights, trademarks do not expire after a set period of time, and in theory, a trademark lasts as long as the owner continues to use it consistently. Trademarks don’t need to be registered, though doing so notifies the public of the registrant’s claim and creates a legal presumption of nationwide ownership. Digital Millennium Copyright Act (DMCA): Signed into law in 1998, the DMCA provides explicit protections for copyrighted material on digital platforms. In addition, DMCA prohibits circumvention of online anti-piracy software and makes it illegal to create or share tools used for that express purpose. DMCA also provides a mechanism for companies to issue a “takedown request” when they find pirated material online. Let’s explore that process in more detail. 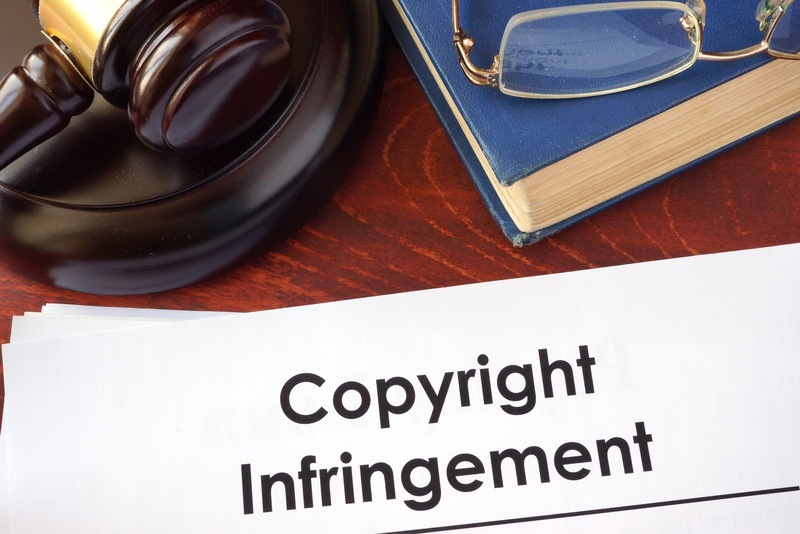 A DMCA takedown notice allows content creators or publishers to request that an ISP, web host, or other web manager removed copyrighted material. In order to initiate a DMCA request, the content creator or publisher must identify the pirated content and prove ownership. It’s advisable to take time-stamped screenshots of the pirated content to preserve evidence. The request is then sent to the service provider’s DMCA agent, which all providers must appoint and register with the U.S. Copyright Office. Conduits: Services such as broadband access providers who may have pirated material passing through their networks. Caching Services: Services that temporarily cache data, such as those used by many broadband providers. Information Location Tools: Search engines or directories are protected provided they don’t encourage or profit from infringement. One of the easiest and fastest ways to search for pirated content is by creating a series of Google Alerts. Google allows you to set search parameters for specific words or phrases and will alert you via email when these search terms appear online. For example, a publisher can set specific terms—such as character names, locations, vocabulary particular to a book series, etc.— to trigger an alert that may identify pirated e-books or other stolen content. You can search for entire excerpts as well. Google Alerts are flexible and can provide daily, weekly, or immediate notifications as terms are found. Google Alerts are sent straight to an email inbox for easy sorting and follow up. Trackback notification is another valuable content tracking tool available on major blog platforms and Content Management Systems (CMS) such as WordPress and Drupal. Trackback notifications will contact you immediately if someone links back to your post. While there are legitimate reasons for doing so, a website that repeatedly links to your site could be copying and reposting IP. Similar to a Google Alert, trackback notifications can be sent to an email account for follow up. Digital piracy hurts creators and makes it more difficult to earn a living creating and selling content. While online piracy remains primarily focused on films and music, e-books are also being stolen with alarming frequency. Piracy can be incredibly costly to copyright holders, and investing in the right software is the best defense. Adobe DRM solutions are at the cutting edge of IP security software and EditionGuard puts this industry-standard protection within reach. Partnered with EditionGuard, content creators can be confident their IP is safe as they focus on the creating the next e-book that delights readers around the world. Publishing a book used to be like a lottery, except that you had to work hard even to have a chance to get your work noticed by one of the big publishers. Even after that, it was pot luck whether you got through all the hurdles. Unless you had the right connections, it was often a thankless, near-impossible task to get your book published. The internet flipped that process upside down. It all started with Amazon giving you the ability to publish and promote your books online. Some of the most successful authors today started by going down this route. E.L. James, author of the wildly successful Fifty Shades trilogy, self-published her first books. She sold 250,000 copies before being snapped up by a mainstream publisher. The series completely revolutionized the way the publishing industry operated and made it more accessible than ever before. Control: Working with publishing houses often means handing over editorial control. They have a team of editors and “experts” who decide what kind of content sells. They will also control the distribution of your books. Flexibility: Publishers work to their timetable. This leads to either frustration over the length of time it takes to publish your book or tight deadlines. Either way, doing it alone enables you to work to your schedule – one that suits you. Money: By retaining control over editing, printing, and distribution, you will keep far more of the profits your book makes. You may even decide to go down the e-book route entirely, cutting out printing costs. In essence, self-publishing will give you complete control and flexibility to do things on your terms. You would be going directly to your readers and cutting out the difficult agent in the process. As you become more established and scale up your sales, having a publisher may make more sense. However, as you start out, it’s invariably better to go alone. To begin with, we need to focus on your writing. After all, that’s what your readers are going to be interested in. Identifying the right genre for your book will set a firm foundation to work on. As well as picking the subject you are passionate and knowledgeable about, it’s worth looking at the topics independent authors are successful with. Though these figures relate to e-books, they are still a good indicator for the publishing industry as a whole. If you want to write to a different genre that’s not in the top five, then take the time to see if there’s a market for your book. As long as you have the expertise on your chosen subject, then you should press ahead. The book isn’t going to write itself. As soon as you settle on a topic, title, or even just an idea, you need to get writing. eThe trick here, as many other writers will tell you, is to get into a routine. Set yourself a daily target for the number of words to hit. Anything between 500 to 2,500 words a day should work. Pick a number that gets your momentum going without sacrificing the quality of your work. If you feel the need for some human company in this famously lonesome profession, there are writing groups you could join. As well as providing that extra bit of motivation, you can use your fellow members to proofread your book. It’s also a good idea to read a good book for 30-40 minutes before you get writing each day. This will get your creative juices going and set the standard for your work. In essence, you need to get into the habit of writing. While you should constantly review your book to make sure the basic standards are met, the heavy editing can wait. No best-selling book is ever published without going through an endless stream of edits. When you’ve finished your first draft (And it will just be that), take a breather and step away from it. Give yourself a day, a week or however long it takes for you to be able to review your book with fresh eyes. After giving it an initial review, it’s always worth collaborating with others to edit your book. There are many companies who offer editing services for books. The full package will set you back by around $1,000, which may seem expensive, but it’s a small price to pay for a polished book. If you can, build a relationship with your editor or team, so you can ensure the edits stay true to your vision. Editing can be a painful process, as you see others change key tracts or sentences that you’ve labored over. The key is to leave your emotional attachment to one side and take each edit on merit. Let your editors get on with the job and review their suggestions afterwards. If they are good editors, you will find yourself accepting the majority of their edits. However, if you feel there’s a clash of styles or ideas, then it’s time to find an alternative team or editor. Saying that, you need to be able to accept constructive criticism. Remember, even the likes of J.K. Rowling and Stephen King will have their books heavily edited before it goes to publication. While the editing process is underway, you should look at the design of your book. The front cover will set the tone for your readers and display what type of book it is. As well as the consideration of the front cover image, you need to think about the font of the title, copyright information, and whether you should have a review quote. If you have the budget, then you should use a professional book cover design service. Take the time to search around and weigh up the reviews from other authors. Don’t just consider whether they are good designers, but also whether they cater for your genre. If you prefer to go it alone or with your team, and design your book cover yourself, there are several neat tools that enable you to do this. One of the most popular is Canva, which is a leading graphic design app with access to thousands of templates for you to work from. Bear in mind that there are lots of factors in book design and it can catch first-time authors out. If you’re serious about publishing a book that sells, then consider whether you can do it alone. Each element needs to be reviewed and edited throughout. So it could be more cost-effective to leave this to the professionals, with your input. By this stage, you’ll be fast approaching publishing day. You need to be carrying out your marketing well before then. One of the best ways of doing this is to set up a blog and social media profile. Your blog gives you the opportunity to build your reputation as a knowledgeable and high-quality author. It’s the perfect platform to showcase your writing skills. You should then use social media to build a following and share content with your audience. Avoid simply talking about your book and don’t be afraid to voice your opinion on issues within your field. By engaging with your potential readers and building a healthy profile before the publication of your book stands you in good stead for success. Look at using specialist book marketing agencies to boost your profile further. They can organize everything from book reviews to media interviews. You need to give them plenty of time to do their work. For example, it can take several weeks to get one book review you could use on the back cover. As with the design agencies, take your time in finding the right option for you. Find a team or person that you can work with and equally passionate about making your book a success. That will make a difference to your sales. Marketing your book doesn’t stop after publication day either. You need to maintain the profile you will have built and connect with your readers. Your most loyal readers have the potential to become advocates of your book and sell it for you. This would be invaluable as it’s a very competitive market where it’s increasingly difficult to stand out. Even if you’re intending to launch a physical book, e-books is a relatively inexpensive way to generate extra revenue. Amazon Kindle, Nook, and other e-readers offer users the opportunity to have a library in the palm of their hands. If you choose to go down this route, and you should, then you’ll need to think about protecting your book against piracy. After all, e-book piracy cost the publishing industry $315 million in 2017 alone. At EditionGuard, we offer a number of affordable digital right management (DRM) plans designed to protect your e-books. Once in place, you will be ready to securely distribute your e-book to your readers. It’s finally here. The big day has arrived. If you have done everything as set out in the post, then launch day should be about you having fun. Use the positive feeling about completing your book to shine through in any interviews or blog posts. Promote it anywhere you can, on social media, other blog posts, media outlets, and book forums. Find out where your potential readers are and make sure your book can be seen. If you have a list of email subscribers, make a special offer on referrals. Encourage others to spread the word on your behalf. 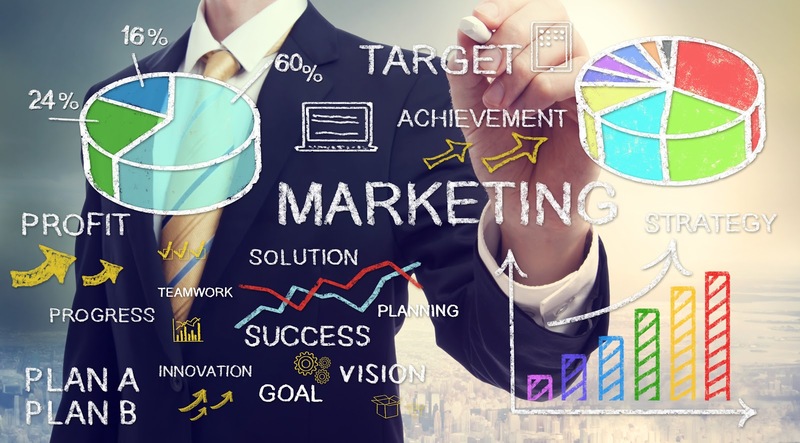 As with marketing in general, don’t stop after day one. Keep pushing your book, and enjoy the ride. Only a tiny handful of authors find life-changing success after one book. The best way to build your reputation is by consistently publishing high-quality books that your readers love. If your readers enjoyed your first book, then you’ll have a market ready to read your next one. It’s highly likely they will talk to others and you’ll see your audience grow organically. Ensure you save your email subscribers and retain your social media followers by keeping them engaged. Let them know that there’s another book coming and generate some excitement. Before you know it, you’ll have a growing readership which will result in growing revenues. Collaborate: Though you call the shots as an author, you should collaborate with others. This includes editing, design, marketing – as a team, you will get more work done to a higher standard. Have a budget: At the end of the process, successful self-published authors will keep more of the revenue coming in than working with a publishing house. However, it will cost more upfront. Things like editing services, design teams, and marketing will add up. Give yourself time: To maximize the potential of your book, you need to allow plenty of time to prepare for the final publication. There are no shortcuts to quality. Get into a routine: When it comes to writing your book, get into a daily routine of reading and writing. Immerse yourself for a few hours at a time. Let the heavy editing wait until you finished your first draft. Protect your book: Finally, when you’re ready to launch your e-book, take the steps to protect it against piracy with EditionGuard. Many of us have dreams of publishing our own book, and thanks to technology, it’s within reach. The key is to focus on a genre you’re passionate and knowledgeable about – and follow the steps laid out in this post. Adobe DRM – What Is It and Why is it the Industry Standard? Intellectual property is critical to any company’s success. However, protecting that IP can be challenging, especially in an increasingly digital age. It’s easier than ever to copy and transmit content before copyright holders can respond. Digital Rights Management (DRM) software is specifically designed to solve that problem and can protect digital works such as novels, textbooks, and other content. This post examines how EditionGuard keeps your IP secure so you can focus on creating great content. DRM, or Digital Rights Management, involves various methods of protecting digital files from piracy, theft, or unauthorized access. In the publishing industry, DRM protection for e-books usually takes the form of password, watermark, and encryption-based solutions in order to protect against piracy. The level of e-book protection a publisher needs depends on the type of document being published, the intended audience, and the specific distribution channel. DRM solutions need to protect IP but must do so in a manner that is convenient and seamless for the customer. A DRM solution that completely secures content but is cumbersome and intrusive for the customer could ultimately hurt sales. Adobe approaches IP security with the attitude that selling e-books securely online should be easy and convenient. Whether it’s a brand name author or an up and coming writer, Adobe can support distribution with robust but easy to use software. Adobe’s DRM software is built on the industry standard Adobe Content Server technology used by major tech firms and book retailers such as Google and Barnes & Noble. The Adobe Content Server provides authors and publishers a platform to securely distribute and monetize their e-book library. Added flexibility allows for unit or subscription pricing, location-based pricing, and seamless fulfillment. Customers are authorized with customizable ID options, and publishers can make content available for specific windows of time. Adobe DRM also has a number of limitations. Users can access content on a maximum of six computers or mobile devices. If you need to reset your authorizations, you’ll have to call customer service and lose access to all devices tied to your Adobe ID. Fortunately, there is a much more cost-effective solution to protect your content while still maintaining industry-standard security. EditionGuard allows you to securely sell your works online with Adobe DRM protection for a flat rate of as little as $120 per month. You can focus on selling your protected e-books without worrying about software installation and other technical issues. EditionGuard offers an all-in-one solution that can protect valuable content and easily integrates with your e-commerce platform through flexible APIs. When a purchase is made, the customer is authenticated with a user ID and password. The customer can then securely access their content with virtually any internet-enabled device. Adobe DRM works behind the scenes to secure content without negatively impacting the reading experience. 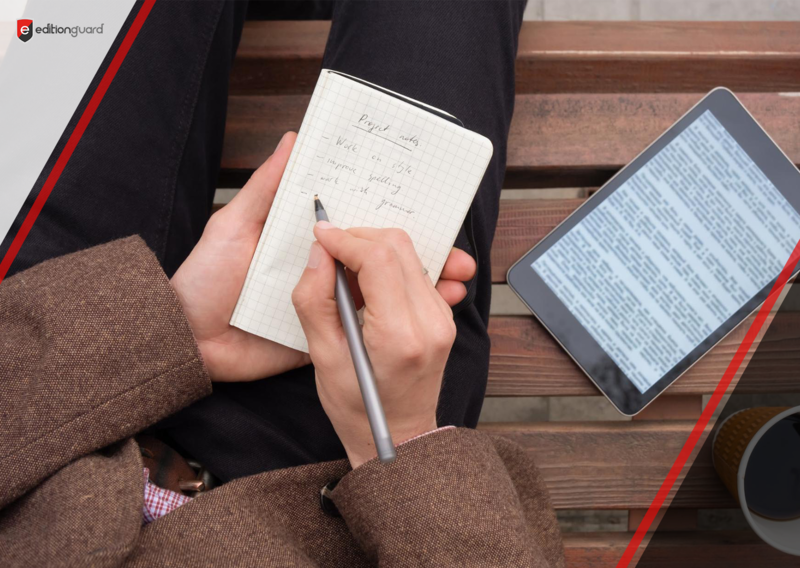 Adobe DRM strikes the perfect balance between protecting your content and ensuring customers can read their e-books whenever and wherever they choose. There are several alternatives to Adobe DRM for protecting EPUBs and PDFs. Password protection and social DRM/watermarking offer some security but have significant drawbacks. Let’s examine both of these alternatives in more detail. 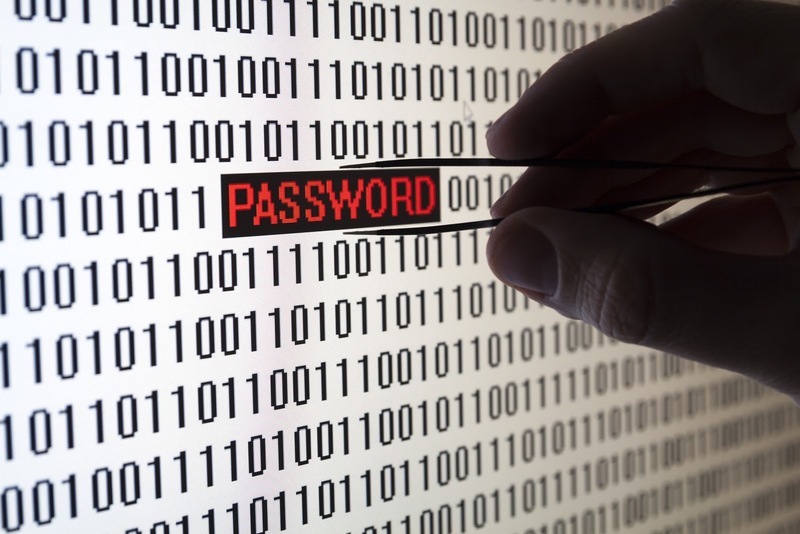 Password protection is the simplest solution to prevent unauthorized access to content. However, this solution offers no flexibility in terms of what users can access: they either have the password to access the whole file, or they don’t. In addition, password protection encryption is inferior to the industry standard. Password protection can be easily removed, often for free, using different online software tools. 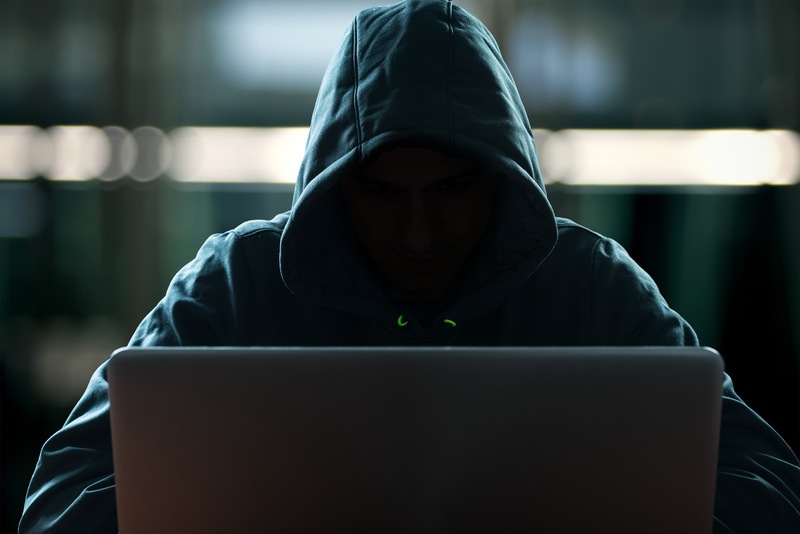 A more sophisticated hacker can use a brute force attack, which involves testing thousands of password combinations until the password is discovered. More complex electronic devices may have safeguards to prevent this kind of penetration attempt, but publishing applications typically are less sophisticated. Social DRM can take many forms but typically involves imprinting files with a visible (or possibly hidden) watermark. That watermark often contains the reader’s personal information, such as their name or an account number. Digital watermarking for e-books discourages unauthorized sharing, as a file containing the reader’s personal information can be easily tracked and attributed. Watermarking is prevalent in European countries such as Germany and Italy but is less commonly used in the United States. One significant exception is J.K. Rowling’s Pottermore, which uses watermarking on Harry Potter e-books. In addition, O’Reilly Media has been using watermarking to protect content for years. Piracy prevention for e-books is especially challenging. According to one study, almost 17% of online books have been pirated. Some authors have tried to combat the trend by appealing directly to readers. American author Maggie Stiefvater, who wrote the Shiver and Raven Cycle series, did just that. After her publisher decided to cut the print run of the next book in her series by half, she pleaded with fans to stop pirating her work and making it more difficult to make a living as an author. She even released a portion of her new book, The Raven King, to highlight the issue. Stiefvater had seen numerous forums where fans shared pirated PDF’s of her books. The PDF of the Raven King was merely the first four chapters and a message explaining how piracy harms her and other writers. After the message was released, the new book sold out within two days. Some industry groups representing authors have explored new technologies to reduce piracy. The Alliance of Independent Authors is exploring using blockchain, the technology that underpins cryptocurrencies, to protect IP. A “literary blockchain” would theoretically be a digital ledger that would track an author’s intellectual property and commercial rights to a specific piece of content in real time. While the idea is in its infancy, a literary Blockchain could reduce piracy and ensure authors are paid for their work. Research suggests that illegal downloads of e-books cost publishers over $300 million each year. Part of that trend appears to be driven by the growth of digital titles, but other factors are also important. The growing prevalence of tablets and e-readers has made e-books more attractive than in recent years, further underscoring the need for better piracy prevention tools. Publishers have responded with different strategies including establishing best practices, lawsuits, and exploring new business models. The rise of Netflix, Spotify, and other modern content firms has highlighted the benefits of the subscription business model. Millennial customers are actually willing to pay for content if they pay a reasonable monthly fee for unlimited access. The New York Times and the Washington Post have seen significant revenue growth selling digital subscriptions and have successfully convinced millennials to pay for news. Rather than relying on ads or unit sales, publishers may be able to combat piracy by offering e-book subscription services that promise access to an extensive library for a monthly fee. 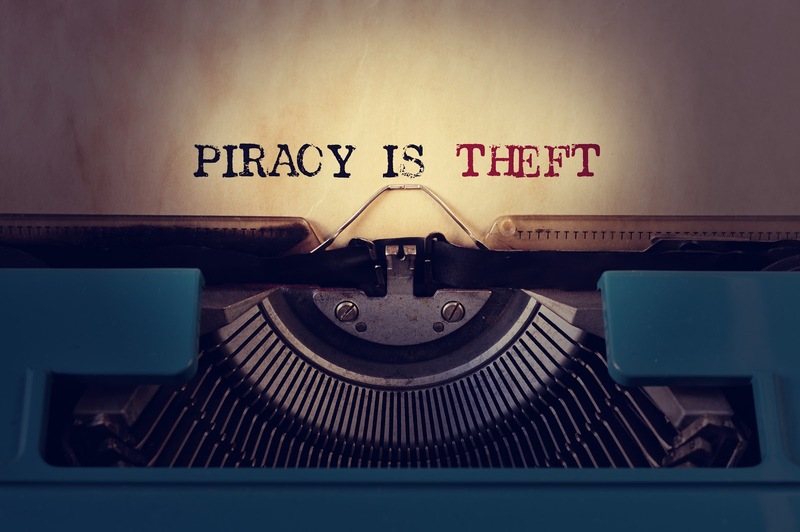 Rather than trying to fight piracy with brute force tactics such as lawsuits and creating closed systems, adapting to changing customer tastes could eventually make piracy less attractive. In the meantime, protecting your IP with social DRM or industry-standard Adobe DRM protection from EditionGuard helps ensure that your work will not be illegally copied or distributed. Digital piracy hurts everyone, from content creators to publishers and other distributors. Theft of film and music content is being mirrored in the publishing world, and it’s easier than ever before to share pirated content. Adobe DRM solutions are on the cutting edge of IP security software to preserve literary works and prevent piracy. Piracy is incredibly costly for content creators and investing in the right software is the best way to protect intellectual property. While there are a number of solutions available such as password protection and watermarking, those options don’t provide the same level of protection as Adobe DRM and are more easily defeated. EditionGuard addresses these issues by making industry-standard content protection affordable for both small and established firms. Rather than pay significant upfront installation and maintenance costs, EditionGuard clients pay one low monthly fee and get industry leading content protection standards. EditionGuard allows its clients to focus on creating quality content for people all over the world to enjoy, and reap the rewards of all the hard work that went into creating and distributing it. 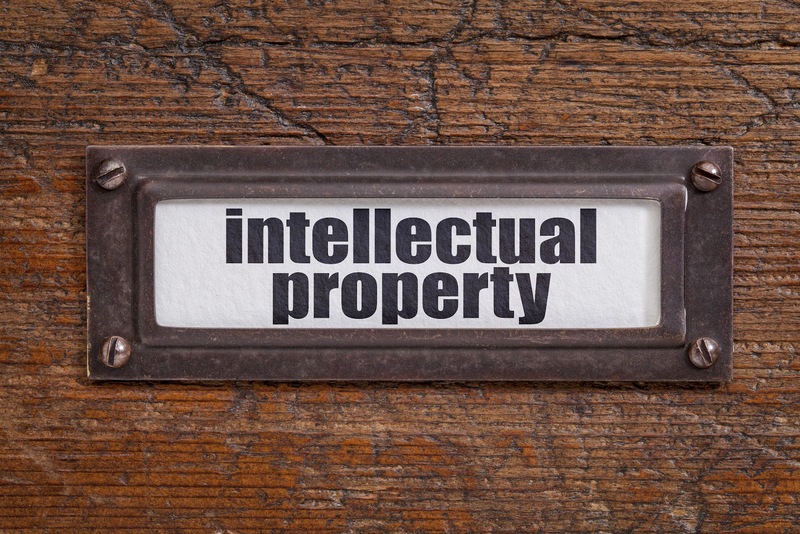 Trade secrets and other intellectual property (IP) are critical to a company’s success. Protecting IP can be challenging, especially in an increasingly digital age. While there are numerous legal mechanisms and regulations to protect IP, digital piracy remains a pressing issue. Digital Rights Management (DRM) software is a very effective tool to protect digital media such as novels, textbooks, and other works. This post examines ways to protect digital IP and how DRM solutions can aid those efforts. What Are Trade Secret/Intellectual Property Laws? We can define “trade secrets” very broadly. 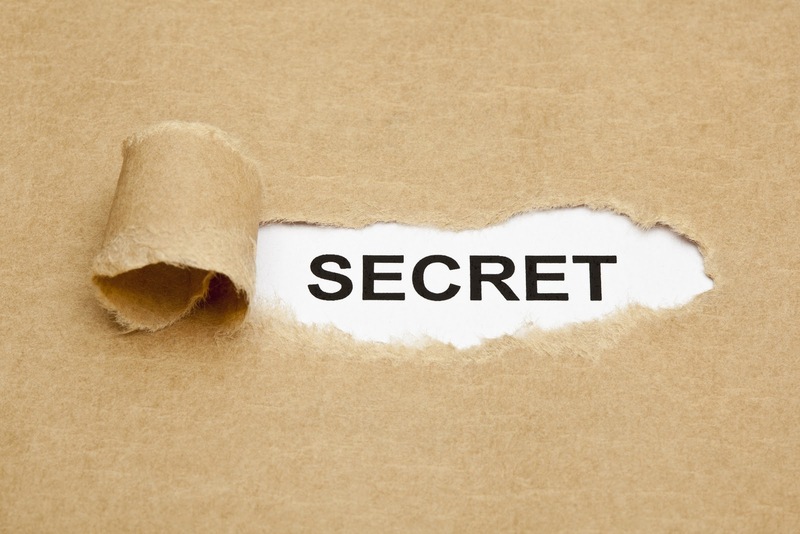 A trade secret is any confidential or proprietary business information that can provide a competitive advantage. That might be a chemical formula, a manufacturing process, sales methods, advertising strategies, and so on. Unauthorized access to and use of this information is considered a violation of trade secrets and may be deemed unfair competition. Trade secrets are protected by Intellectual Property laws, which serve to incentivize inventors and protect their intellectual property from infringement or theft. 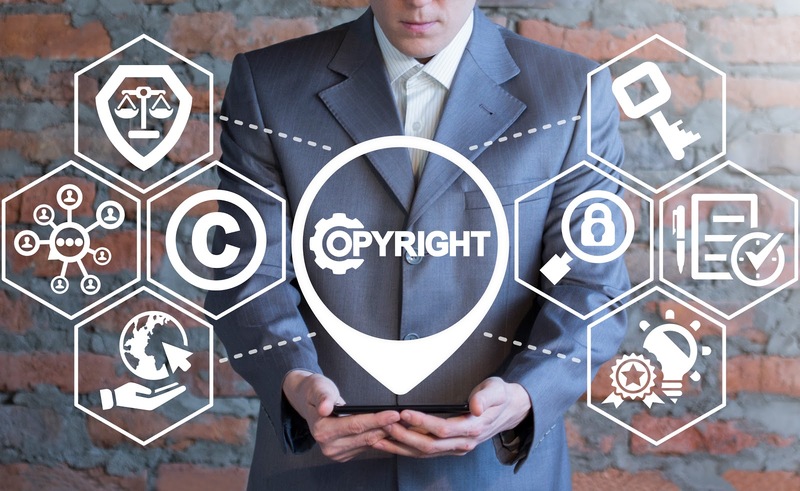 If intellectual property is infringed upon or stolen, the owner of that intellectual property can file a lawsuit in federal court. 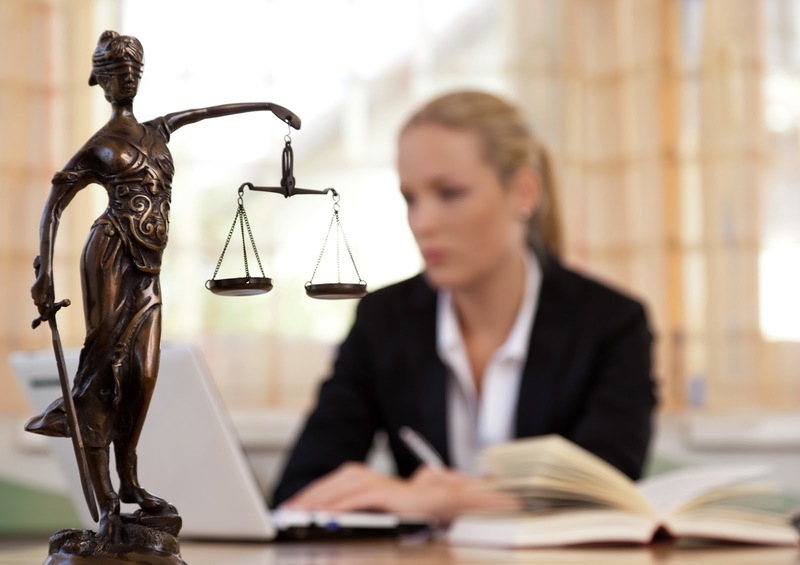 There are a number of remedies if the lawsuit is successful. The court may issue an injunction to prevent further infringement and can issue substantial fines and impose damages to recover lost revenue and deter further infringement. 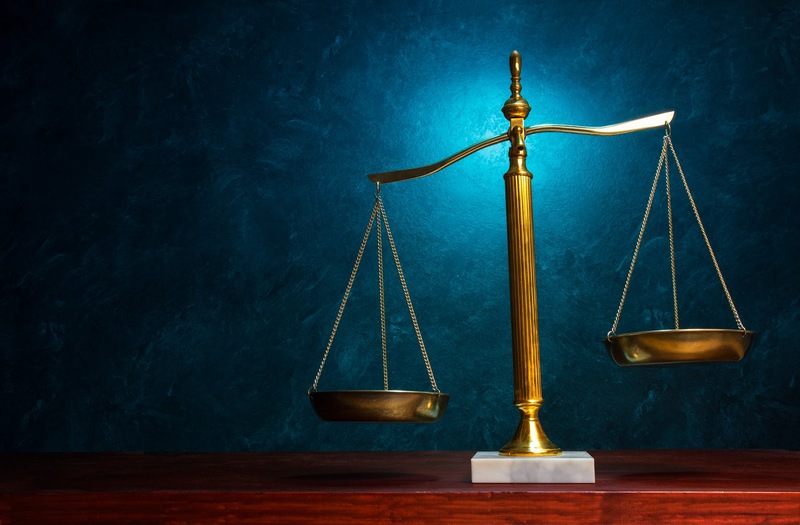 How Do Those Laws Differ From Patents, Copyrights, And Other Content Protections? Copyrights: A form of intellectual property protection available for original works of authorship. Those works can include literary works, paintings, software, films, and live performances. A copyright grants the owner the exclusive right to publish, reproduce, perform, or distribute that creative work. Copyrights typically last as long as the lifetime of the owner, plus 70 years. The owner can permanently or temporarily transfer ownership to other parties. To ensure full protection, copyrights should be registered with the U.S. Copyright Office. Trademarks: A trademark can be a word, phrase, symbol, or design identifying the origin of the goods of one party relative to other parties. Some examples include logos, brand names, and slogans. Unlike patents or copyrights, trademarks do not expire after a set number of years. A similar concept is a Service Mark, which applies to services rather than goods. In theory, a trademark can last forever as long as the owner continues to use it in the marketplace. In addition, trademarks don’t even need to be registered, though there are benefits to doing so. Registering a trademark with the USPTO notifies the public of the registrant’s claim to the trademark and creates a legal presumption of nationwide ownership. Non-Disclosure Agreements (NDA): An NDA is a legally enforceable contract that creates a confidential relationship between two parties—the party that possesses a trade secret, and the party to whom that secret is disclosed. NDA’s protect sensitive information and can protect patent rights, as public disclosure of an invention can void those rights. A broad range of information can be covered under an NDA, such as customer lists, R&D results, and other sensitive data. An effective NDA includes definitions of confidential information, obligations from involved parties, and the time period in which the NDA is in effect. Non-Compete Clauses (NCC): A contract between an employer and an employee, where the employee agrees not to enter into competition with the employer after being terminated. An NCC typically prevents that employee from entering into markets where the employer competes or joining direct competitors. Employers use NCC’s for a variety of reasons. NCC’s prevent employees from revealing confidential information to competitors, who would be particularly positioned to exploit that information. Specific information is necessary for an NCC to be binding: an effective date, purpose of the agreement, key definitions (duration and type of work), and compensation. The terms and duration of NCC’s can vary, and some states may not even enforce these contracts. What is DRM And How Does it Work? We can use a number of applications such as Adobe Acrobat or Preview (the Mac alternative) to password-protect PDFs and e-publications. However, these solutions offer no flexibility in terms of what users can access; they either have the password to access the whole file, or they don’t. This solution can deter unauthorized access, but the encryption is less than industry standard. Acrobat or Preview encryption can be easily removed, often for free, using different online software tools. In addition, a more sophisticated hacker can use a brute force attack, which involves testing thousands of password combinations until the password is discovered. A cell phone or other electronic device may have safeguards to prevent or slow this kind of penetration attempt, but publishing applications typically are less sophisticated. Social DRM can take many forms but typically involves imprinting files with a visible (or maybe invisible) watermark containing the reader’s personal information. 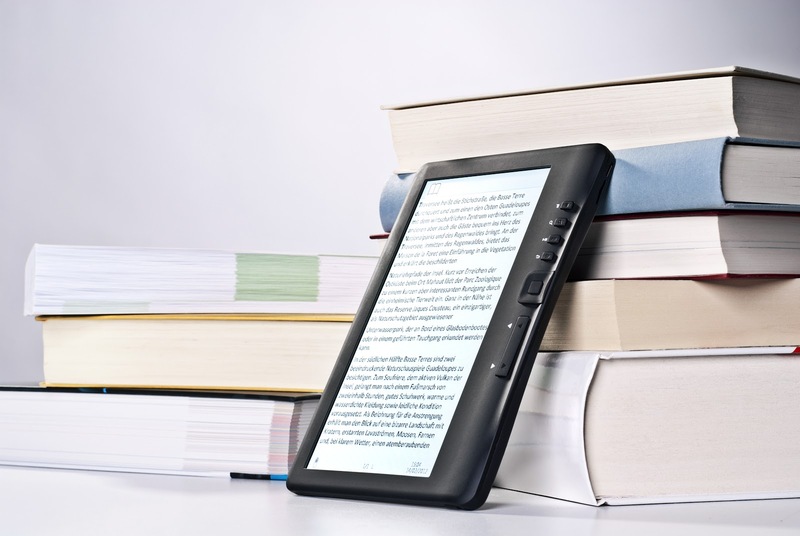 Digital watermarking for e-books discourages unauthorized sharing, as a file containing the reader’s name or other information can be easily tracked and attributed. Industry-Standard DRM protection offers secure encryption and the flexibility to control what users can and cannot do with our PDFs and e-publications. These security solutions need to be continuously updated and refined in order to provide the highest level of protection. Hackers and other actors are always trying to devise new ways to beat our encryption, which is why we need to work just as hard to stay one step ahead. Adobe DRM solutions are updated constantly to provide the best possible protection for e-books and other digital publications. Research suggests that illegal downloads of e-books cost publishers over $300 million each year. Part of that trend appears to be driven by the growth of digital titles, but other factors are also important. 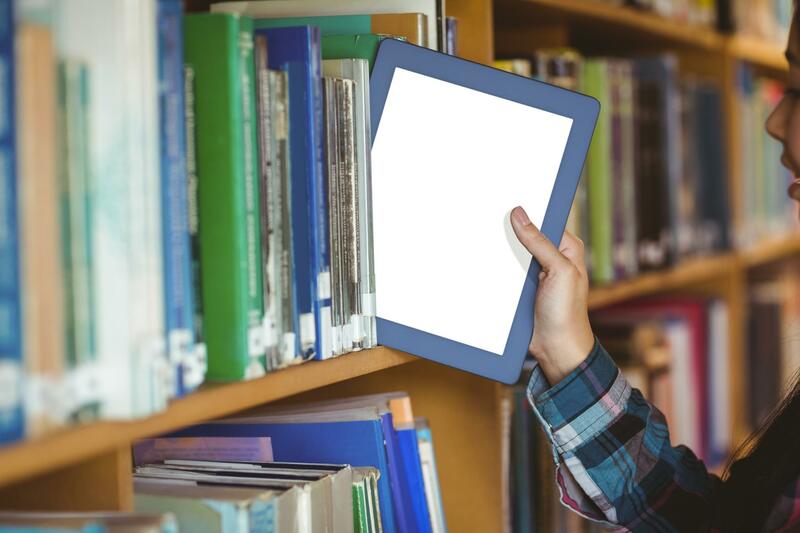 The growing prevalence of tablets and e-readers has made e-books more attractive than in recent years, further underscoring the need for better piracy prevention tools. Publishers are aware of the problem and are taking action. In 2017, Cengage, McGraw-Hill, and Pearson Education reached an agreement with distributors to enforce a new set of Anti-Counterfeit Best Practices. Those three publishers are also engaged in preventing piracy of traditional books. The same year, those publishers sued bookstore operator Follett for its alleged failure to stop selling pirated versions of their books. Follett later settled and agreed to meet the Anti-Counterfeit Best Practices guidelines. Digital piracy hurts everyone, from content creators to publishers and other distributors. Legal protections in place were created before the digital era and regulators have been slow to react to digital piracy. EditionGuard DRM solutions are on the cutting edge of IP security software to preserve literary works and prevent piracy. Piracy is incredibly costly for content creators and investing in the right software is the best way to protect intellectual property. Copyright protection was first brought into law as far back as 1710 when it was enacted in England. It was the first time where a state recognized the author of an original work owned its copyright. However, it still required the owner to deposit their work to copyright libraries at completion. All this changed under the Berne Convention set up in 1886, which works across borders and automatically protected any work – published or unpublished. It covers authors, musicians, painters, and any other form of artist. Today, 173 out of 194 nation states are members. As a result, copyright law is similar in most parts of the world and it applies as soon as you start writing, drawing, or producing. So, let’s explore what it is. So, in essence, it protects any form of material expression – whether it’s through an e-book, song, or software. However, it does not protect ideas, concepts, or facts. Such things like processes, methods, and systems can be protected with patents. Under the Berne Convention, you do not need to register for copyright since it’s automatically granted, You also have the right to give permission for others to use or distribute your work. This is usually arranged through a transfer of copyright with contracts. Another factor is if you’re employed by a company to do the work then you are not necessarily the copyright owner. For example, anything produced on a website is owned by the company and not the author. Far from being a barrier, copyright serves as an incentive for producing creative works. It ensures your intellectual property is an asset. If people could simply copy your work, whether it’s a book, painting, or song, and sell it – then the value of your asset will dwindle. Copyright ensures that this does not happen, and gives owners the right to control the economic value of their work. Your creations can also retain, and even build value over time. Copyright ensures this can be protected even after the author’s death for a duration of 70 years. This means the value of your work can be handed down the generations through your estate. Having control over the distribution of your work is another key benefit. If you see a demand for your copyrighted work, then you can maximize your financial rewards by licensing others to either use or distribute your creations. Licensing enables you to set the terms and conditions under which others can use your work. Any infringement of these terms is considered as breaking the law and can incur financial penalties – payable to you. Copyright infringement is a generic term which covers any act that breaks the conditions set by the copyright holder. This could include the use of content without permission, violation of a pre-agreed contract, or display the protected work. These are usually resolved through direct contact between the holder and the “culprit,” where a negotiation process may follow. In more severe cases, court action is required. In many cases, people will not realize they are committing copyright infringement. This is why it’s a smart move to contact them or their representatives before escalating the situation any further. When creating e-books or articles, you should always err on the side of caution when quoting or using third-party content. For example, if you wanted to use an image, ensure you have the permission of the owner and attribute accordingly. There are sites like Adobe Stock, where you can use licensed images, safe in the knowledge you’re not infringing any copyright. Since copyright has been around long before digital even existed, there is some confusion about how it can be applied to digital content. Let’s be clear: Digital works have the same protections as any other form of content. For example, your e-book has the same protections as a physical copy. However, with the amount of data coming out of the internet every day, it’s a challenge to monitor all the content. To ensure your documents are protected, you need to take action now. While the Berne Convention automatically gives you the legal rights to your content, enforcing this requires a proactive approach. 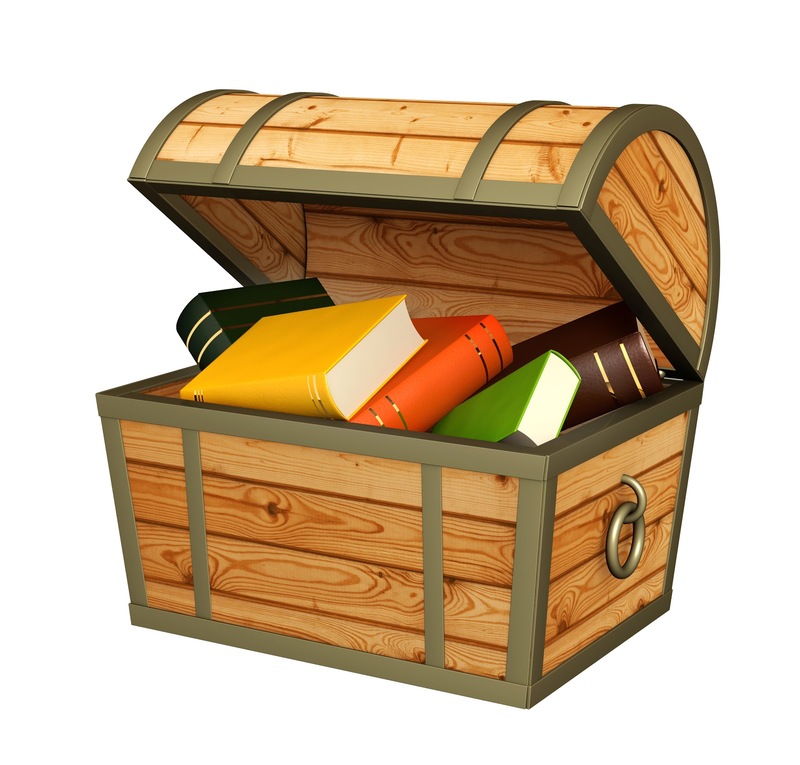 As we’ve said before in previous posts, e-book piracy is significant issue authors and publishers need to consider. In 2017, over 31 million e-books were illegally downloaded in the United States alone. This equates to a total of $315 million in lost revenue, and a sizable proportion of total sales. And it’s not only sales that can take a hit. When you’re not in control of your e-book distribution, content can be edited and presented differently. This invariably causes a negative perception of your reputation. At EditionGuard, we provide Digital Rights Management (DRM) software to protect your e-books. The reality is to ensure you can exercise your rights; you need to use DRM. DRM is a term that describes methods of protecting digital documents from piracy. This can include confidential files, sensitive financial information, and e-books. It does this by restricting access to online data through passwords, watermarks, and encryption. This is a method you will be familiar with. You can protect your documents by setting up password restricted access. It works for any digital material or website. However, partly because it’s standard practice, hackers have found ways around passwords, There are even apps and tools available that can remove passwords altogether. Though this is not as common as media reports can suggest, it’s not a rare occurrence, and you should consider these factors. Otherwise known as “social DRM,” watermarking imprints the content with a visible or invisible watermark. As a result, each file would contain the buyer’s information. This allows you to track down the person responsible if the pirated content makes it into the public sphere. Encryption is the most secure form of DRM. It enables authors to control how people can use their e-books. This level of authorization is also one of the most expensive because encryption needs to adapt to technological changes. EditionGuard puts industry-standard Adobe DRM within reach of independent authors and publishers by offering it at as part of a monthly plan at an affordable rate. Copyright is an age-old concept that’s standing the test of time. As technology makes content and data evermore accessible, the issue of protecting your work is more relevant than ever before. As an author, artist, or producer it’s important to understand the minute you start creating an original work, it’s subject to copyright. Under the Berne Convention, this is an automatic process that’s recognized by the vast majority of countries around the world. However, it’s not enough to merely sit back and assume that you work will not be pirated. 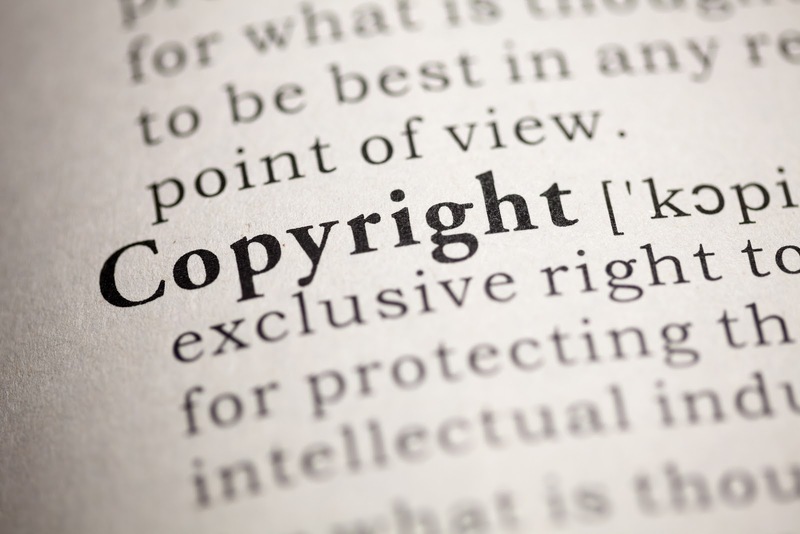 In order to protect your copyright, you need to take a proactive approach. Failure to do so will lead to lost revenues and damaged reputations. For authors, DRM is one of the most effective solutions. At EditionGuard, we put otherwise expensive solutions within reach for e-book writers and publishers. Find out more today about how you can protect your future earnings.